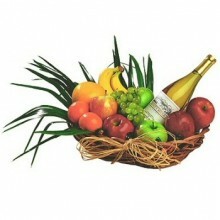 Plenty of warm wishes, thoughtfulness, luscious fruits and fresh flowers are in this gorgeous gift basket; here's the kind of gift that is easy to enjoy. 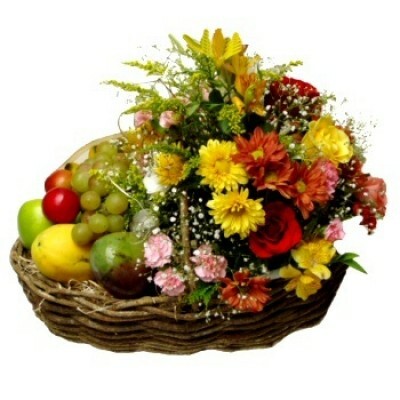 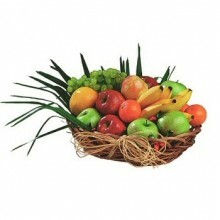 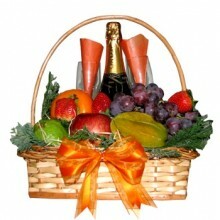 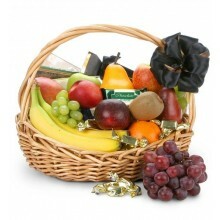 The Fruit & Flower Gift Basket comes with a beautiful flower arrangement on one side and an assortment of the freshest seasonal fruits on the other side. 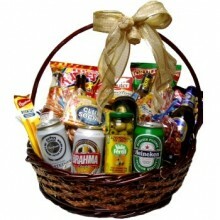 Wrapped in cellophane and adorned with a bow, this basket is a great treat.